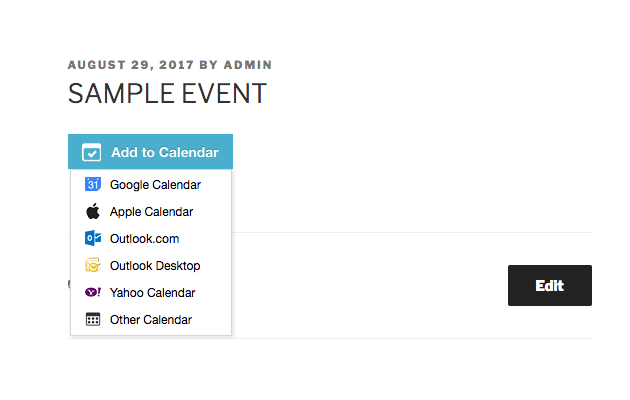 Adding Eventable's add-to-calendar buttons requires you to add a script to your Wordpress page. This is only available if you can add Plugins to your Wordpress account. If you are unable to install a plugin, please see this article instead. In your Wordpress dashboard, add a new Plugin. This can be found under Plugins, then Add New. 4. Go to your Eventable dashboard and locate the event you are sharing. Click Share Event and choose the Website tab. Copy the embed code. 5. In your Wordpress post, paste the embed code in. Make sure you have toggled to Text instead of Visual. 6. Click Preview Changes to see how your add-to-calendar button will be displayed on your Wordpress page.